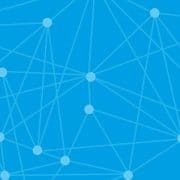 Make it easier for your customers to pay you. 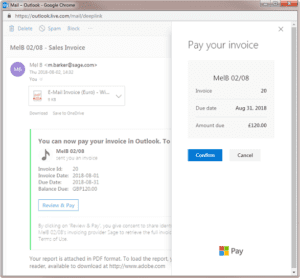 It’s now possible for customers to pay you using a payment option through Outlook.com with Sage 50c Accounts v25. Any of your customers that use Outlook.com will see a payment option in the email when you send their invoice. Your customer can click on Review & Pay and a side bar will open where they can pay you right then using Microsoft Pay. 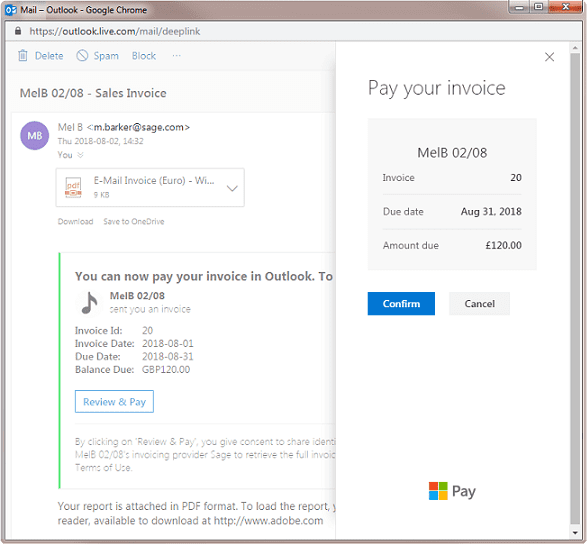 For customers who don’t use Outlook.com, a ‘Pay Now’ button will still appear on the invoice attachment contained in the email. How do I set up Outlook payments? To use this feature you must set up Invoice Payments. If you’re not already emailing documents from Sage 50cloud Accounts, you need to enter your email settings. Click Customers on the navigation bar. Make sure that in each relevant customer record, Email1 contains the customer’s email address. To show a payment button on the body of the invoice, use one of the Sage 50cloud Accounts v25 standard invoice layouts. Click Invoice and credits. Choose the invoice you want to send. Click Email to email the invoice to your customer. If necessary, it is possible to edit the standard layouts and customise them for your own business needs.